When the business community of Chestermere decides that they are going to support a local organization, neither rain, nor wind, nor puddles of water will slow them down. 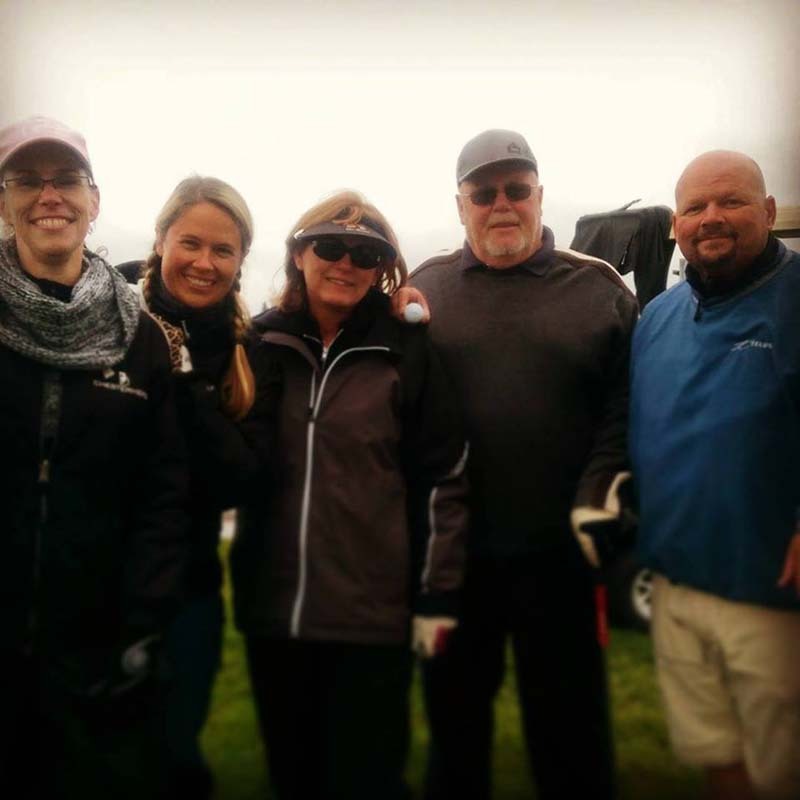 On Monday September 14, 2015, the Chestermere Chamber of Commerce held its 2nd annual golf tournament in support of the Chestermere Regional Food Bank. If you’ll remember back to September 14th, it was raining, a bit windy and about +5 degrees was the forecasted high…. 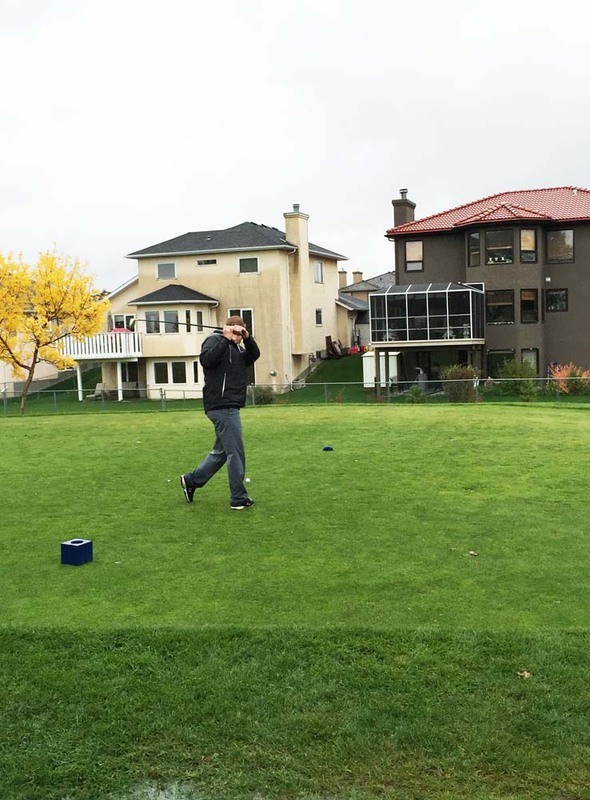 A perfect day for golf….said no one ever! 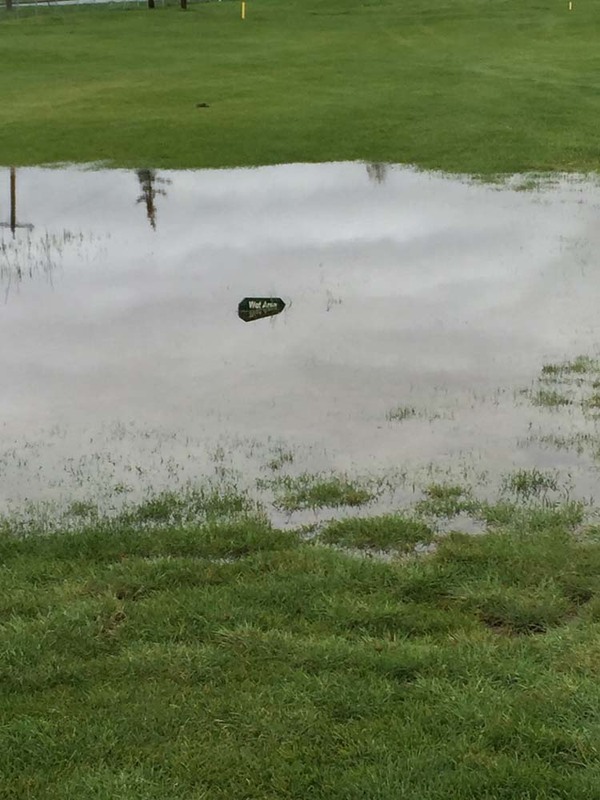 But with the purpose for the tournament being to help ‘feed the need’… 54 participants pulled out their rain gear and rubber boots and headed out to complete their 18 holes at Lakeside Greens Golf Course in Chestermere. But as most of us know, when you’re doing something that is going to be a huge benefit to those in need in your community, you put your own feelings and needs aside and focus on the why. The teams made their way through the course, laughing at both the sloshy sound their shoes made and the way that the golf balls splashed in the middle of the turf. As the teams one by one made it back inside the warm and inviting club house, the staff at The Point had a delicious dinner waiting and teams shared their stories of the day. Chestermere Chamber Administrative Assistant, Darlene Tuck said, “The Chestermere Chamber of Commerce is the united voice of Chestermere businesses, fostering growth through Promotion, Education, Networking and Support. The goal of the Chamber is to protect the interest of the business community as a whole and try to promote commerce, trade and industry. The Chamber exists to make the community a better place in which to live”. “When a business joins the Chamber, it helps make the community, and the business, healthy and prosperous. When you become a member, you receive discounts at breakfast seminars, which are learning and networking opportunities to help business owners grow. You receive first right of refusal at special events. Businesses receive discounts from other local businesses that can actually save you the cost of your membership, as well as benefits from the Alberta Chamber of Commerce. The Chambers of Commerce Group Insurance Plan is also an excellent reason to join as you receive better rates than the average medical, dental plans”, Tuck went on to say. In the two years that this event has been held, the weather has not been very cooperative. In 2014, this event was scheduled for the day that ‘Snowtember’ hit which caused the event to be postponed. On the reschedule day, it was gorgeous. So, as past Chamber President, Robin Impey (Owner of M & M Meats in Chestermere) was the emcee of the evening, he joked that maybe next year, this tournament should be a mini-golf tournament held indoors. Guess we’ll have to wait and see.